It's that marvelous, magical day where the time of sunshine and dark are equal, no matter where you are on the planet. 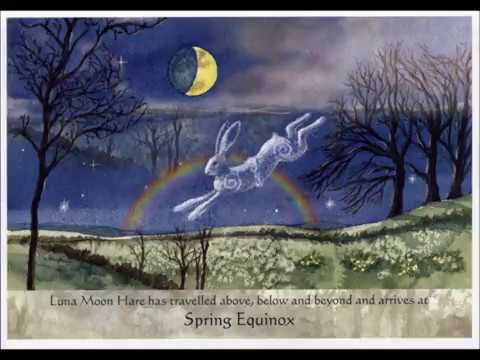 Spring Equinox for those of us in the Northern Hemisphere. Fall Equinox for those of us in the Southern Hemisphere. For me, just a couple of weeks ago, it was snowing. Today, the sky is clear blue and sunshine warms the air. I'm thinking of what I'll be soon planting. As a Wiccan/Pagan/RL Witch I honor this day as Ostara. The word Ostara is just one of the names applied to the celebration of the spring equinox on March 21. The Venerable Bede said the origin of the word is actually from Eostre, a Germanic goddess of spring. It's like Easter, for Pagans.We celebrate with the coming of new life, beginnings, welcoming more sun back. It is also a good time to plan the gardens not just outside, but for ourselves and in our own life.